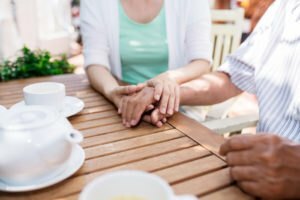 As the caring family member of someone suffering from a disease, it can often be hard to know how to help. Although you want desperately to show your support, it’s not always easy to know what your loved one needs the most especially if you don’t know anyone else who has ever had kidney disease. Helping your loved one get to their appointments on time and being there with them is one of the best ways you can offer support. Dialysis treatment, particularly for the first time, can be overwhelming. Having a familiar face alongside them can help ease the fear and anxiety. Depending on their individual course of treatment, dialysis often lasts several hours and must be completed several times per week. Offer to drive them to and from their treatment, as well as sit with them during their treatment, can show them they are not alone. An estimated one-third of all kidney transplants performed in the U.S. are living-donor kidney transplants. As a concerned and caring family member or friend, you may consider becoming a living donor as an alternative to waiting on the national transplant list for an organ from a deceased donor. Keep in mind, depending on their age and personal medical history, all living kidney donors will experience a decrease in their own kidney function. Sometimes, the best medicine for a person suffering from kidney disease is simply to be able to share their fears, stories, and feelings with others. Although you are always willing to listen, you may find your loved one wanting to share their story and be around other people who share the same disease. Encourage them to attend a local support group. If it makes them feel more comfortable, offer to accompany them to a meeting. If he or she doesn’t feel comfortable attending an in-person support group, the National Kidney Foundations offers peer mentors that are available to speak on the phone as well as an online community. Another way to support a loved one that has kidney disease is to prepare meals that can help them manage the progression of their disease. Their physician will provide nutrition guidelines based on their individual needs, but here is a helpful list of common foods patients with kidney disease should eat and avoid. Depending on their stage of kidney disease, your loved one may experience pain or fatigue, making even relatively minor tasks such as household chores more difficult. Help them save energy to focus on their health and treatment by offering to help. This can be as simple as vacuuming, doing dishes, or washing laundry. If you aren’t accompanying them to dialysis treatments, those are a great time to tackle these tasks so that when they return they aren’t burdened with the stress of cleaning the house. To better understand what your loved one may be going through, we encourage you to learn more about kidney disease by visiting our patient resource section. Each person deals with the diagnose of a chronic condition in their own way, so be patient and listen to their needs so that you know how you can best support them.